Purchase Truth Be Bold, in preorder sales start October 24th, for eight weeks, order at: Finishing Line Press! 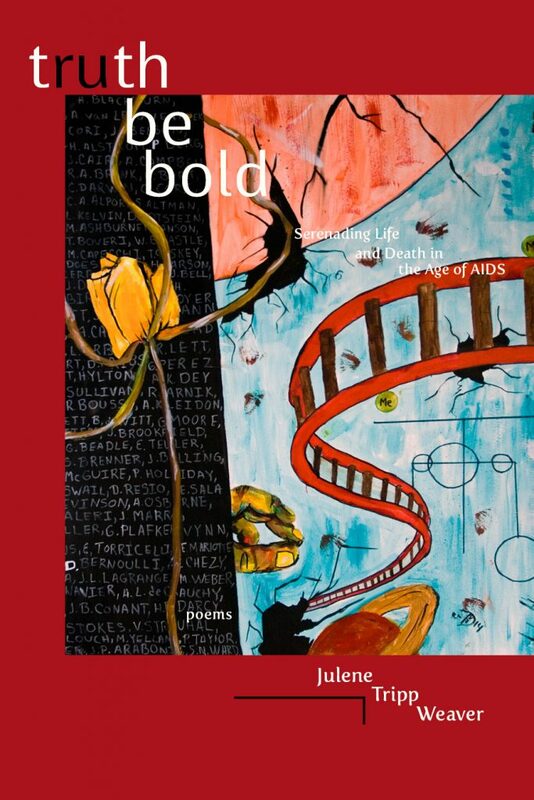 In truth be bold, Julene Tripp Weaver stands at night in the open air and sings beneath the window of HIV, odes and elegies to the virus in her body, in her work, her life, her deaths, deaths of friends, lovers, social work clients, of aging and loving and mourning with HIV, of going on, day by day, one life passage at a time. It is the kind of testament and testimony that could only come from a witness who has lived a long time with the virus in her and all around her, a coming out story unlike any we have seen before. 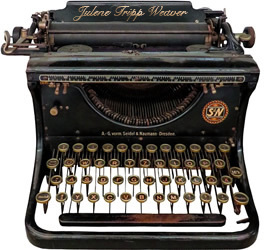 Historical and deeply emotional, the historian or journalist’s objectivity ripped away, this raw, honest poetry of Julene Tripp Weaver won’t leave you alone. It will slowly crawl under your skin and infect you, leaving its mind-tracks, like verbal scabies. It will caress your skin, and mark you, like KS lesions—because this is the poet’s work—to chart for the collective the hidden virus lurking in all of us: Death, and the myriad ways in which It takes us over. Julene Tripp Weaver’s truth be bold is a powerful, readable, nearly-impossible-to-put-down, boundary-crossing coming-out collection. Weaver writes authentically about difficult but important things. She’s a hawk for truth; her unflinching gaze guides us through a work of frustration, love, sadness, survival, death, and compassion. “Inside desire lies/the truth of blood —/longing to live a full life, a natural death.” If you only read one book of poetry this year, make it count—make it this one.